Bajaj Auto has launched the 2019 Dominar 400. The new Dominar brings in a lot of enhancements with more powerful engine, advanced technological features and a distinctive throaty exhaust note. The new Dominar now comes with a liquid cooled 373.3cc DOHC engine that delivers significantly higher 40 PS power. This upgrade also features 43 mm upside down (USD) forks which provides a powerful muscular look along with better handling & comfort. The new twin barrel exhaust produces throaty exhaust note that augments the sports tourer feel. The 2019 Dominar 400 is packed with a host of additional offerings, like bungee straps tucked under the seat to help secure gear during long distance touring, redesigned secondary display showing time, gear position, trip information and space craft inspired tank pad decals. 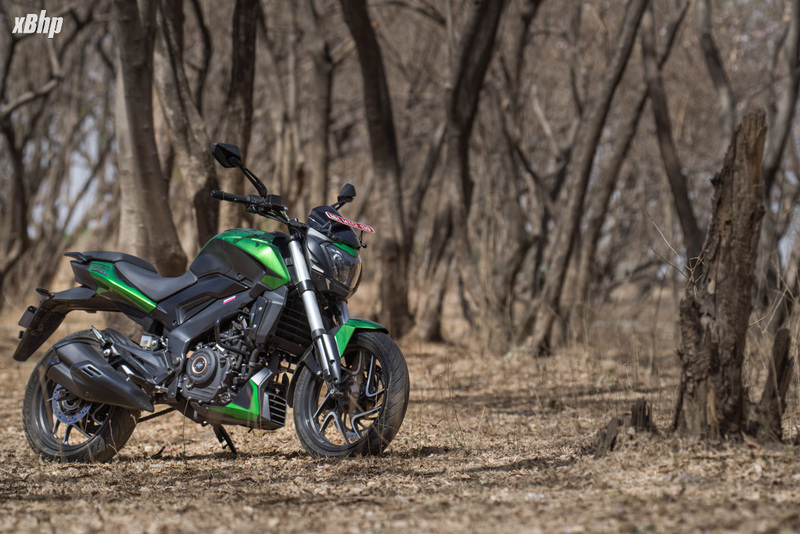 The new Dominar 2019 is now available across all Bajaj Auto dealerships in dual channel ABS variant with Aurora Green and Vine Black color options at INR 1,73,870/- ex showroom Delhi. You can read our first ride review of the 2019 Dominar here. Bungee straps tucked under the seat to tie gear and belongings over long enduring distances, a unique feature enhancing the touring capabilities of the bike. bharatheshk, kiran2508, marcussantiago and 2 others like this. The Bajaj Website still shows old Dominor , I mean this is the most smallest thing they could do to promote the bike. marcussantiago and srt99 like this.